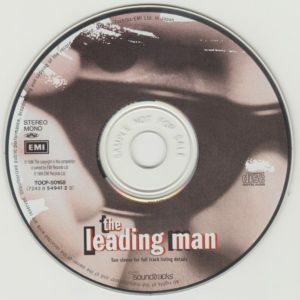 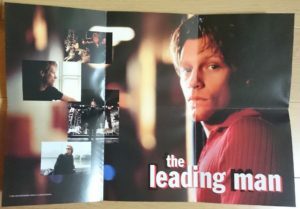 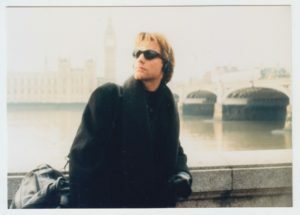 First starring film by JON BON JOVI, Pictures set created for promotion of The Leading Man. First starring film by JON BON JOVI, The Leading Man’s Japanese version ticket. 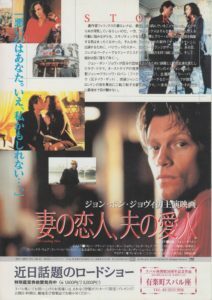 First-time film by JON BON JOVI, The Leading Man’s Japanese version flyer. 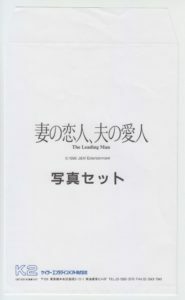 Kyoto Yayoi sitting 2 is the name indication column of the bottom of the back side. 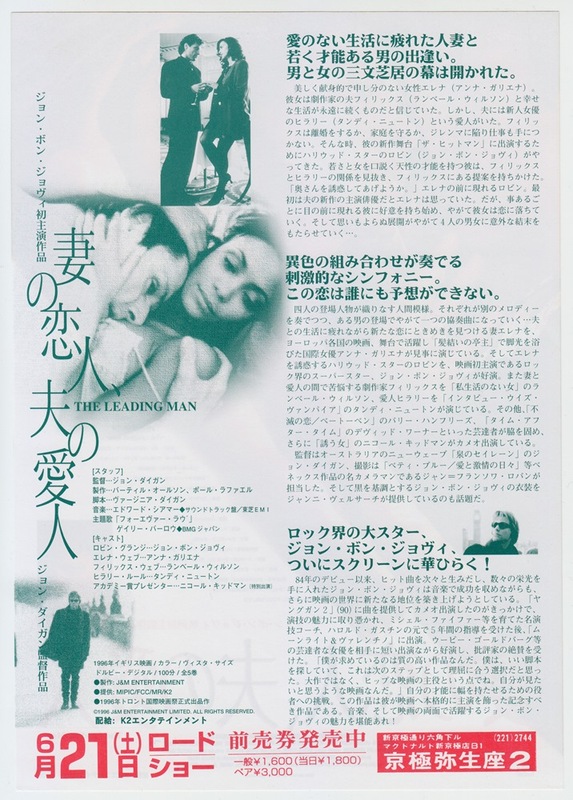 First-time film by JON BON JOVI, The Leading Man’s Japanese version 4-page flyer. 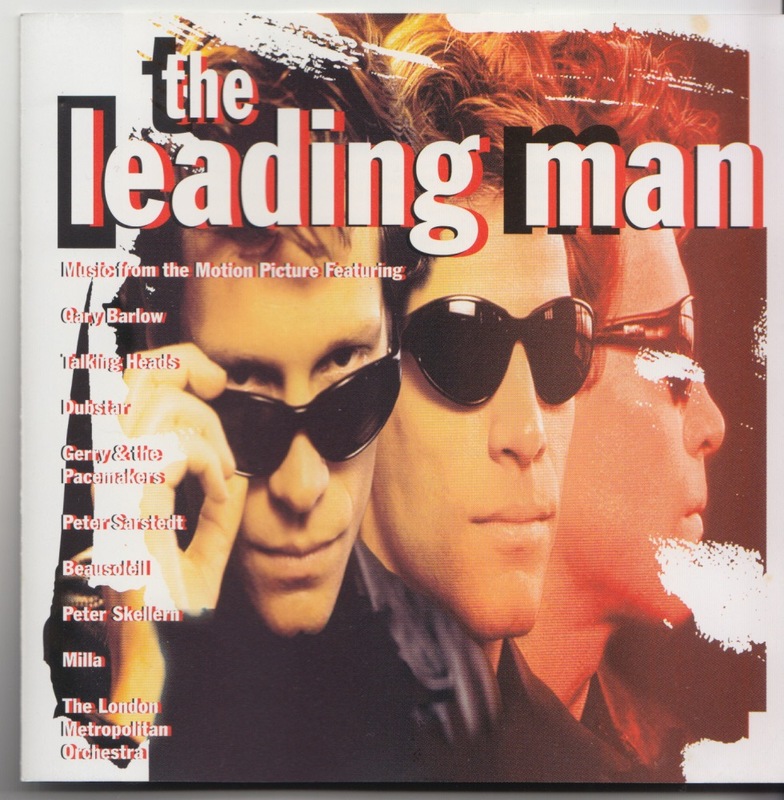 It is entitled “THE LEADING MAGAZINE Vol.1”, and the introduction of movie and Jon is written. 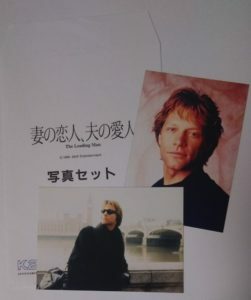 First-time film by JON BON JOVI, The Leading Man’s Japanese version flyer. The name notation column at the bottom of the back side is left blank. 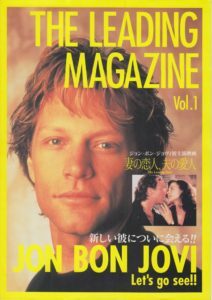 First-time film by JON BON JOVI, The Leading Man’s Japanese version flyer. 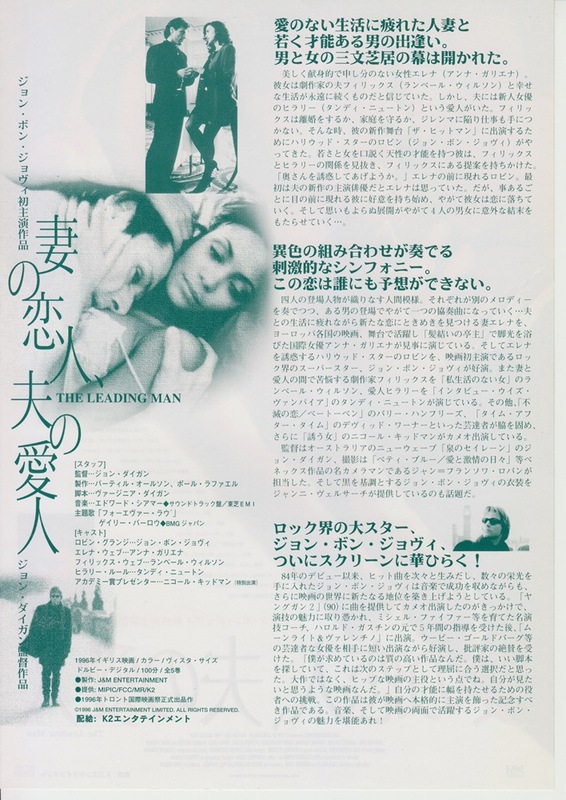 It was distributed at the time of Nagoya publication, and it is printed on the back side as “a road show of coming soon!”. 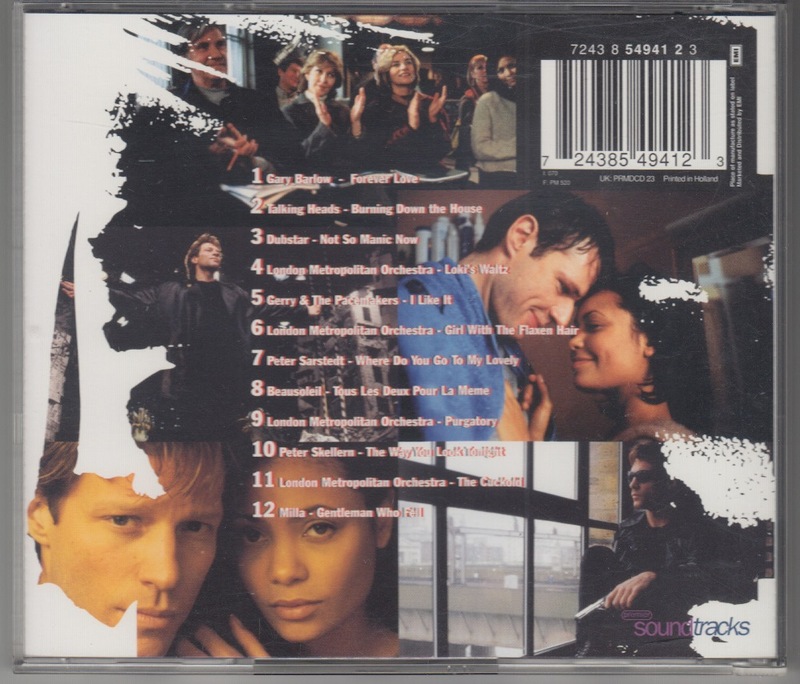 First starring film by JON BON JOVI, The Leading Man’s soundtrack UK version. Although there are figures of JON BON JOVI in the jacket, JON’s participating songs are not included. 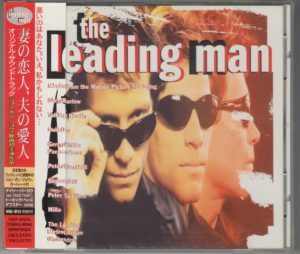 First starring film by JON BON JOVI, The Leading Man’s soundtrack Japanese version. 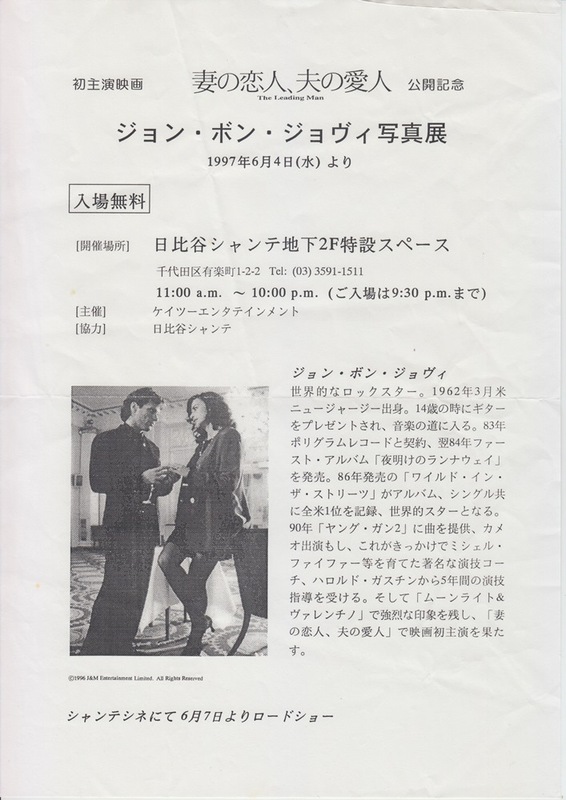 It was released in accordance with the release of Japan in 1997. 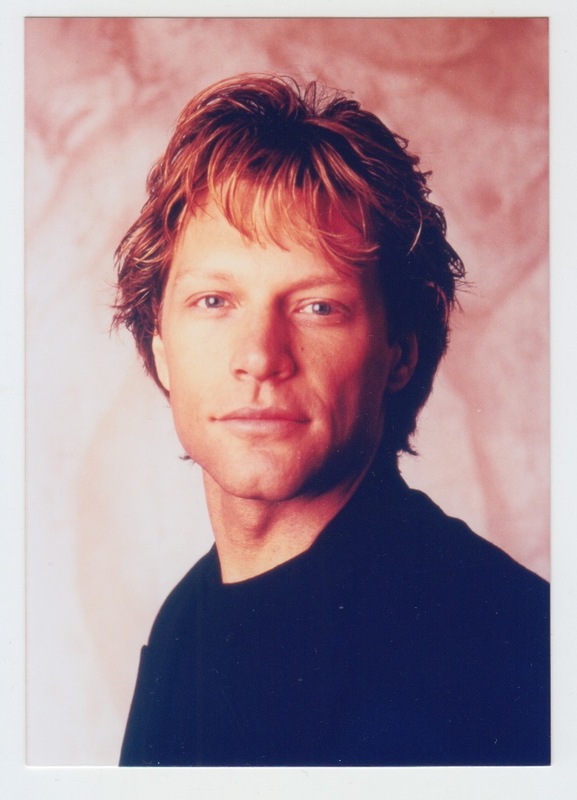 Although there are figures of JON BON JOVI in the jacket, JON’s participating songs are not included. 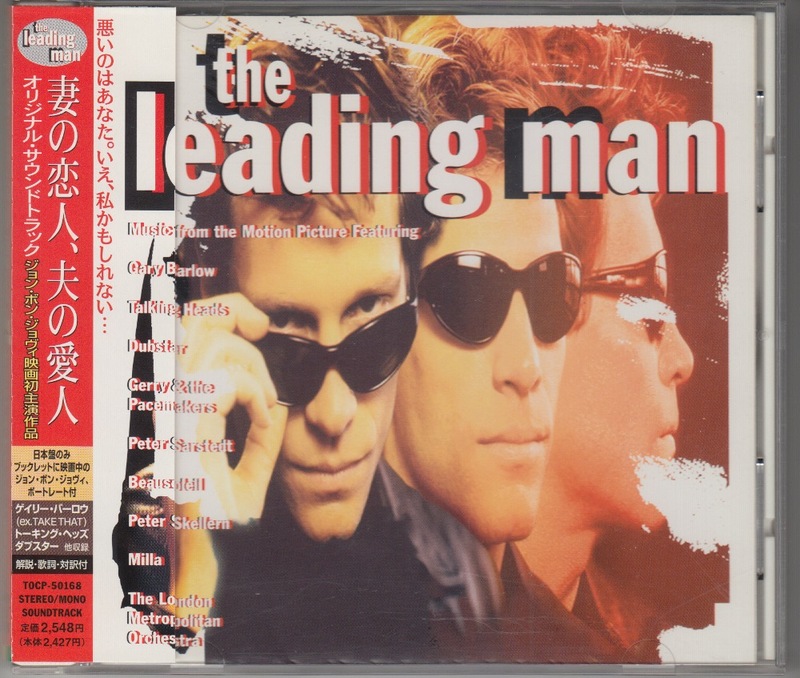 Only Japanese version, with JON’s portrait. A mechanism to become a portrait when spreading a booklet. Sample for pollution distributed to stakeholders before release. JON BON JOVI Photo Exhibition Flyer was held to celebrate the first public starring film by JON BON JOVI, The Leading Man. It was held at Hibiya since June 4, 2007. First-time film by JON BON JOVI, The Leading Man’s Japanese version flyer. 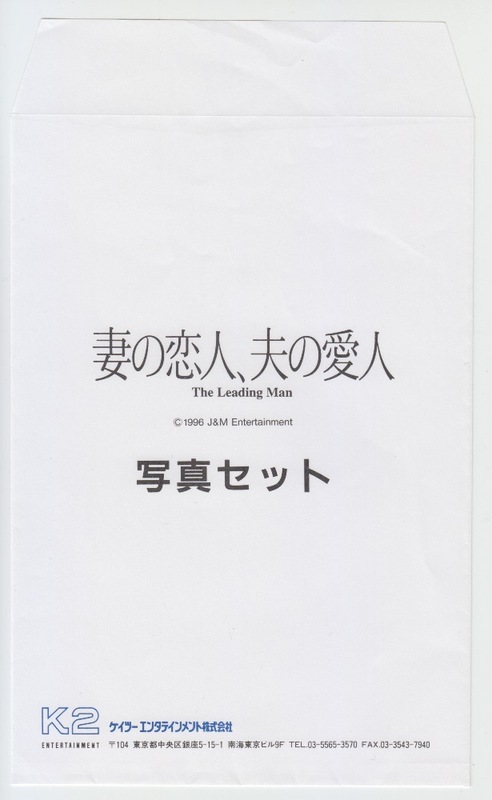 It was distributed at the time of local release, and the stamp of the movie theater in Hiroshima prefecture was pushed on the reverse side.